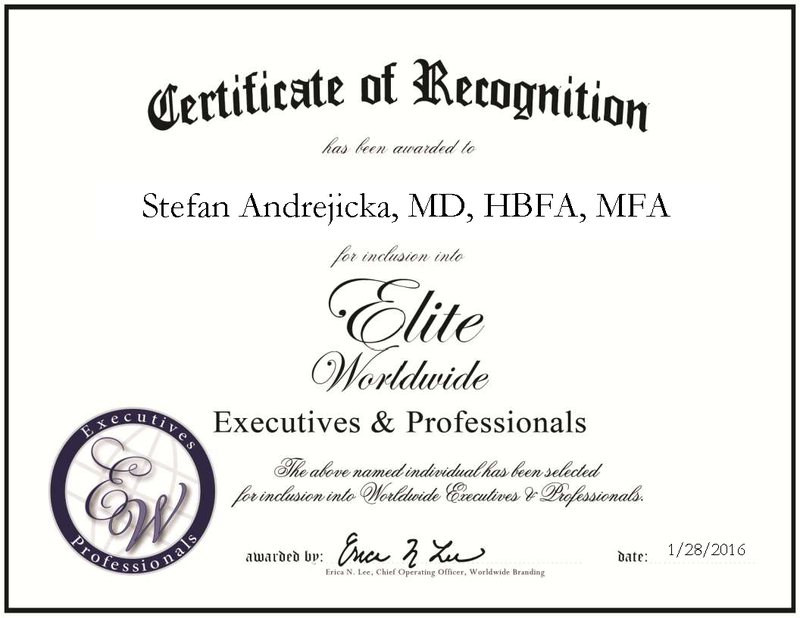 Stefan Andrejicka, MD is an expert in psychiatry, painting, sculpture and museum management. He was initially interested in research biochemistry, and completed an internship in cardiovascular surgery. After finishing a residency in psychiatry, however, he began his 20-year career as a private practitioner. In that role, he uses psychotherapy to treat patients. Dr. Andrejicka also has an avid interest in fine art. He recently held the title of partnership assistant for the Museum of London, but because it was a part-time position, he is currently seeking employment in a gallery or museum. Dr. Andrejicka creates and exhibits his own work as well; his paintings and draped canvas sculptures reveal his fascination with skin surfaces, an interest which began while he was working as a surgeon. Dr. Andrejicka has also invested time in bronze casting. He currently holds an MD from The University of Western Ontario, a Master of Fine Arts from Bath Spa University, located in the U.K., a Bachelor of Fine Arts from The University of Western Ontario and an Arts Management Diploma from The University of Western Ontario, which he earned with distinction. Dr. Andrejicka is affiliated with the Ontario Medical Association, the College of Physicians and Surgeons of Ontario and the Canadian Artists’ Representation. He attributes his success to his determination, ambition nature and open-mindedness. This entry was posted in Health Care, Uncategorized and tagged MD, museum management, painting, psychiatry, sculpture, surgeon.